Repair, Resurfacing, Refinishing, Sealing, Staining, Stamped, etc. Indianapolis, Indiana is designed to appeal to visitors so every single detail needs to be aesthetically pleasing. 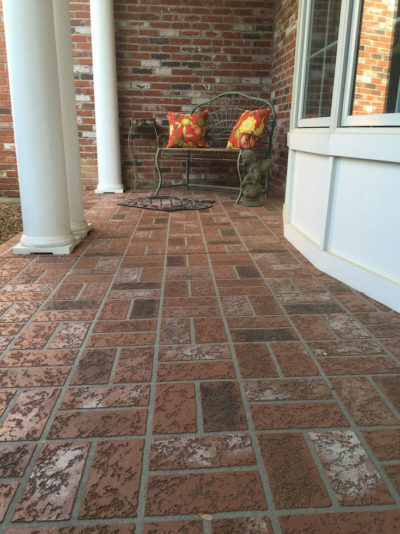 We at Indianapolis Concrete Artisans keep up with the city by providing decorative solutions that improve any concrete surface, both in function and form. We take pride in our work, paying great attention to detail. For over 20 years, we have offered nothing but top quality solutions for every concrete surface and for every price point. 20+ Years in operation – We are proud to say that each of our professional installers has a minimum of 10 years in the concrete restoration and repair business. We are a contractor known for exceptional craftsmanship and dedicated customer service. We make sure that we fulfill, if not surpass, customer expectations. From pattern and color choices to cost estimation, we are all ears. We listen to what our customers want and how they envision the new concrete space. We value transparency and effective communication. We strongly believe that details matter. 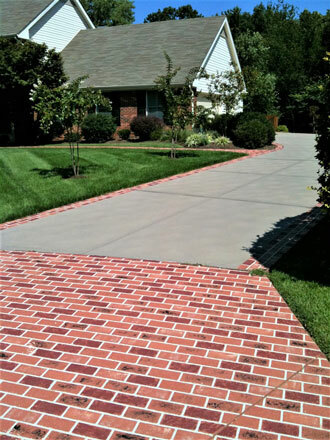 Indianapolis Concrete Artisans is the leading source for all concrete resurfacing, refinishing, and repair needs. We offer a wide range of decorative concrete solutions, whether for indoor or outdoor, residential or commercial surfaces. Licensed, Bonded & Insured. 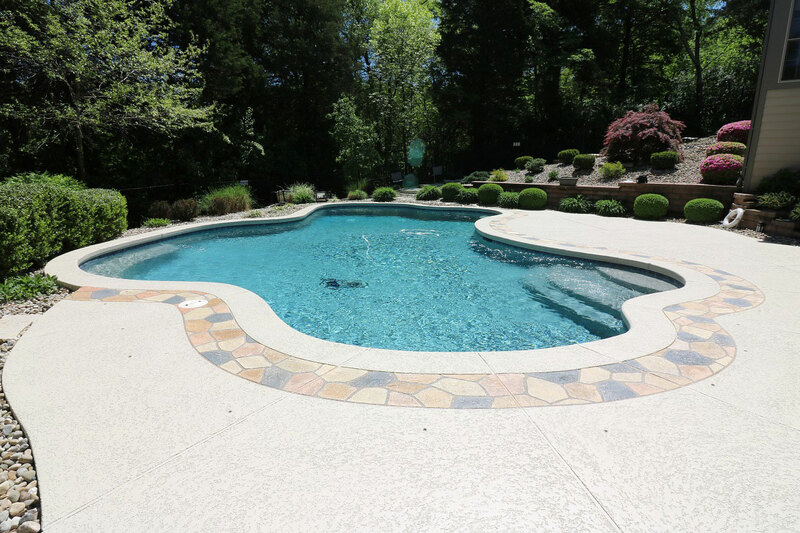 Our team of installers is highly trained in enhancing and restoring concrete pool decks, patios, driveways, walkways, front entryways and more, both in residential and commercial locations in the Indianapolis, IN area. Dealing with damaged concrete can be quite frustrating. We want to turn that around and making the experience enjoyable by offering custom solutions that combine aesthetics and function efficiently. Resurfacing with stamped overlay, spray knockdown texture, epoxy flooring, and polyurea polyaspartic coating. All these can be customized to match or complement the space’s style or theme. If the surface of the slab is still in a structurally sound state, then refinishing is enough to improve its look and function. 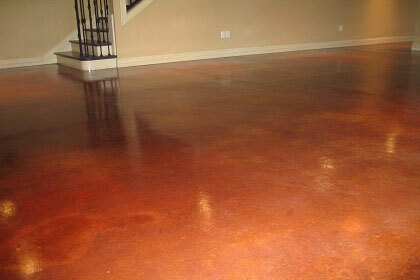 Stained concrete, be it in acid or water-based form, come in a variety of colors that you can mix and match. Let’s set a time when we can talk more about your project and ideas, share our available options and suggestions, and determine if we are a good fit for what you want to have done. Call (317) 854-4529 for a Fast Free Quote! Adding texture and patterns on newly poured concrete or concrete with existing overlay perfect for outdoor surfaces, such as concrete patios, pool decks, and driveways. 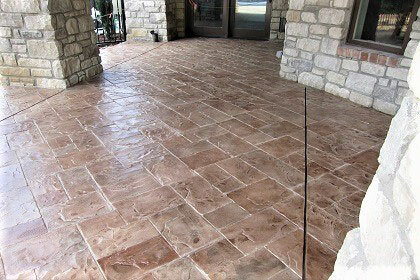 Stamped concrete overlay makes it possible to achieve the look of natural stones, bricks, tiles, wood, slate, without the need of removing the existing slab. 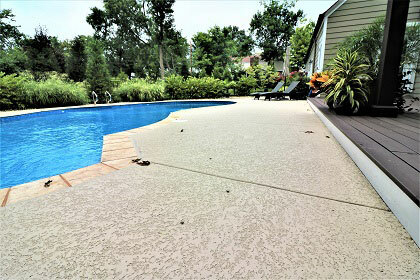 Concrete stains comes in two types: Water-based and acid stains. The results can mimic everything from polished marble to tanned leather to natural stone or even stained wood. This can be used on its own or together with other resurfacing materials on both interior and exterior surfaces. Spray Knockdown Texture is a versatile and durable concrete finish applied as a splatter coat to create a textured, slip-resistant surface or “knocked down” with a trowel to create a smoother finish. 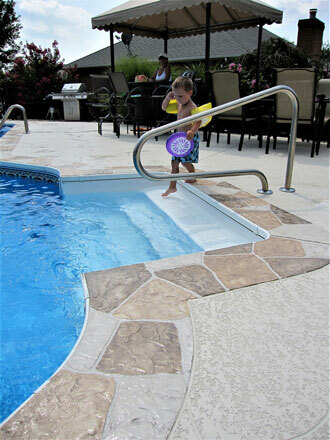 The cooling and slip resistant features makes it a perfect option for patio, driveway & pool deck resurfacing. 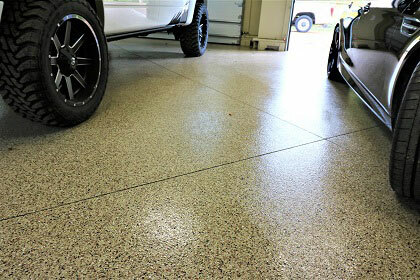 A two-part epoxy cement floor finish for residential, commercial and industrial surfaces. It is mixed and applied thick on indoor concrete slabs to customize it and make it super tough and durable that withstands impact, weight, grease stains, and other common concrete floor issues. An exceptional floor coating which has a glossy, mirror-like finish best for commercial & residential interior floors. 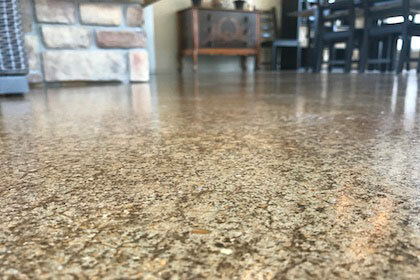 Polished concrete is popular in commercial buildings for its easy maintenance feature which requires dust mopping and occasional use of a cleaning product. 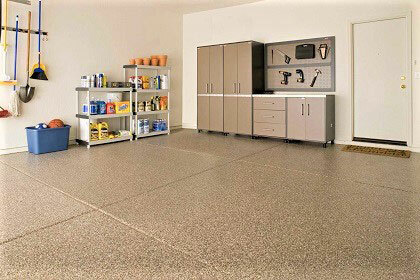 A highly durable floor coating which is best for commercial garages, auto-dealership, & other concrete floors. This fast-drying coating is often used for industrial floors because of its exceptionally tough and long-lasting surface.